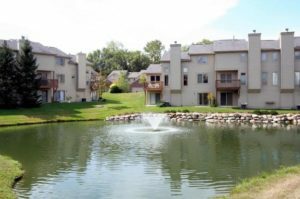 Brookside Commons is a beautiful Ann Arbor complex, the larger units are surrounded by a wonderfully maintained landscape that includes tree lines, a fountain, a clubhouse and more. There are currently no condos listed for sale and so far this year, 6 have sold. $355,000. 199 Kingsbrook Ave., Ann Arbor. 1822 sq. ft., + 1000 in finished lower level, 3 bedrooms and 3.1 baths. $325,000. 114 Ponds View Dr., Ann Arbor. 1822 sq. ft., + 600 in finished lower level, 3 bedrooms and 2.2 baths. $309,900. 120 Ponds View Dr., Ann Arbor. 1730 sq. ft., + 650 in finished lower level, 2 bedrooms and 3.1 baths. $300,000. 108 Ponds View Dr., Ann Arbor. 1298 sq. ft., + 1078 in finished lower level, 3 bedrooms and 3.0 baths. $272,900. 162 Kingsbrook Ave., Ann Arbor. 1730 square feet with 2 bedrooms and 2.1 baths. Last year at Brookside Commons, 4 condos sold with an average sale price of $286,125 and an average price per square foot of $159.00. The 6 condos sold this year have an ASP of $307,800, up 8%, and an A$/SF of $184.00, up 16%. To learn more about condo values at Brookside Commons, contact the real estate specialists with The Bouma Group at (734)761-300 or email info@bouma.com. View more Ann Arbor Condominiums here! There is currently 1 unit listed for sale at Brookside Commons, a complex of townhouse and ranch styles condos. 4 units have sold here year-to-date. $289,000. 171 Kingsbrook, Ann Arbor. 1730 sq. ft., +575 in finished lower level, 3 bedrooms and 3.1 baths. $319,000. 121 Ponds View, Ann Arbor. 1822 sq. ft., +1084 in finished lower level, 4 bedrooms and 3.1 baths. $285,000. 114 Ponds View, Ann Arbor. 1822 sq. ft., +600 in finished lower level, 3 bedrooms and 2.2 baths. $270,500. 114 Ponds View, Ann Arbor. 1822 sq. ft., +600 in finished lower level, 3 bedrooms and 2.2 baths. $270,000. 181 Kingsbrook, Ann Arbor. 1730 square feet with 2 bedrooms and 1.2 baths. Last year at Brookside Commons, 6 condos sold with an average sale price of $279,102 and average price per square foot of $166.00. This year, the ASP is up 2.5% at 286,125 and the A$SF is down, but just slightly. Condo values have really risen at this Ann Arbor complex, with the ASP up 78% since the low in 2009 of $160,000! To keep up with what is happening at Brookside Commons, or to find out when new condos are listed, contact us at The Bouma Group at 734-761-3060 or email info@bouma.com. Be sure to check back at our blog to keep up-to-date with the current real estate market! 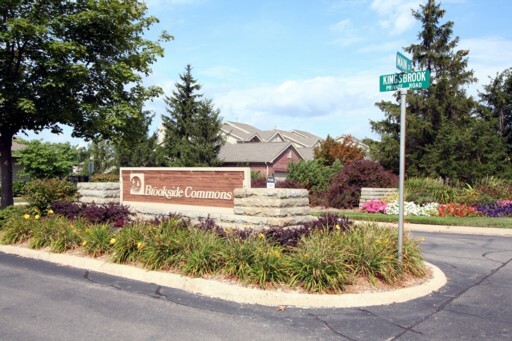 Brookside Commons Condos are conveniently located in central Ann Arbor within walking distance of shopping, malls, parks, and the University of Michigan football stadium and sports complex. 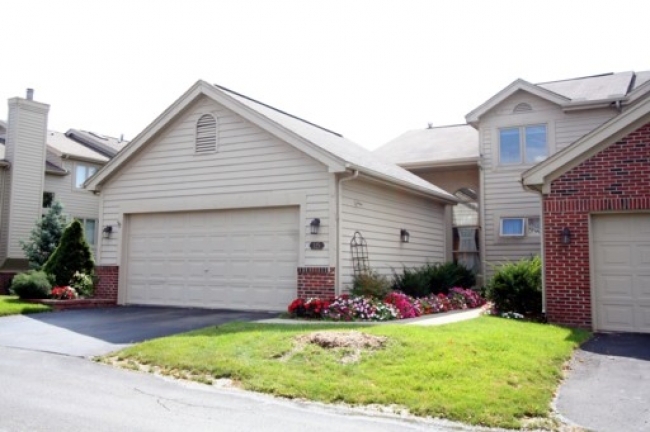 Ranch and townhome styles are offered and all feature attached garages. There are currently 2 units listed for sale and both are under contract with a buyer. 0 units have sold so far this year, but 2 sold last year with an average sales price of $179,750 and average price per square foot of $120.21. $209,800. 1730 square feet +600 in the finished lower level, 3 bedrooms and 3.1 baths. $224,900. 1730 square feet +600 in the finished lower level, 2 bedrooms and 3.1 baths.